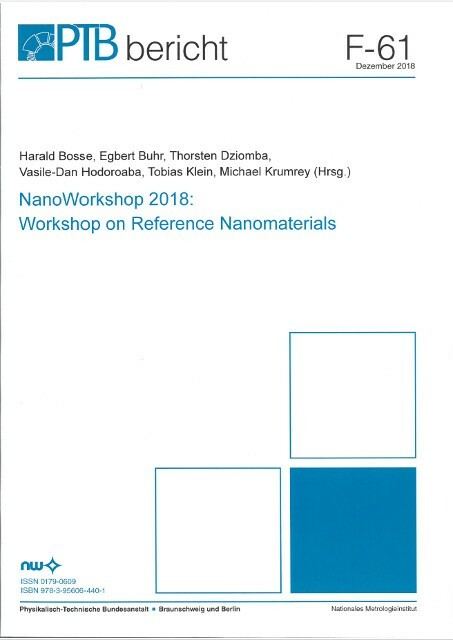 The scope of the workshop was described in the announcement as: The workshop provides a forum for discussion on progress in development, characterization an application of reference nanomaterials, Results of recently finished national and international research projects will be presented. Moreover, the need for future developments will be addressed. Overall 111 participants from 13 countries and the European Joint Research Centre registered for the workshop which was organized of on two half days with 16 oral presentation and 42 poster presentations grouped in 2 sessions an 10 topical areas.